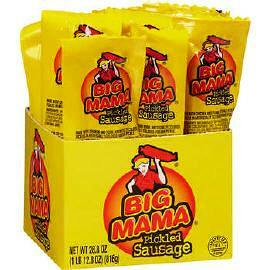 Big Mama Pickled Sausage by Penrose is America's most popular sausage. Big Mama Pickled Sausage is in a single, ready to go pack. 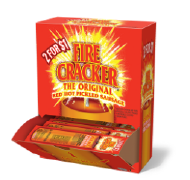 Big Mama Pickled Sausage is excellent for hiking and anywhere some tasty protein is needed. This is 12/2.4 ounce sausages in a case that is ready to ship to your door. If you are looking for where to buy Penrose Big Mama Pickled Sausage you've come to the right place. Get yours today!